This spring I started accepting studio portrait sessions at Dayton’s Lost & Found Vintage Rentals‘ studio. 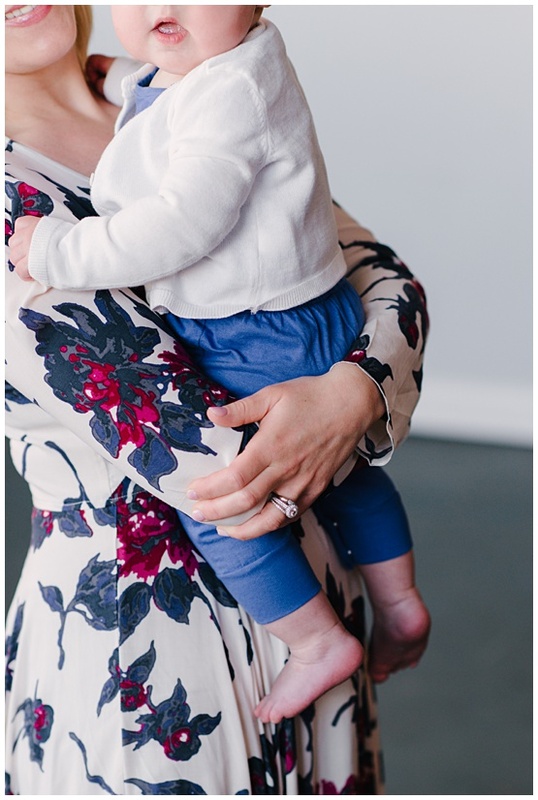 My first booking came from Jill, who was a past bride of mine & now has her own baby girl! It was great to see them as parents & photograph them as a family of three. Baby girl had fun exploring the space & being kissed by mama and daddy. 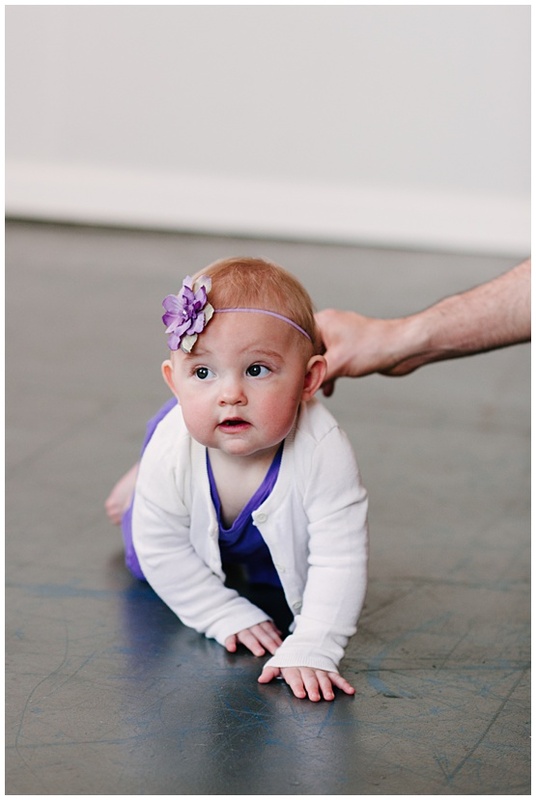 She makes me miss those chubby rolls that seem to disappear when the walking starts! 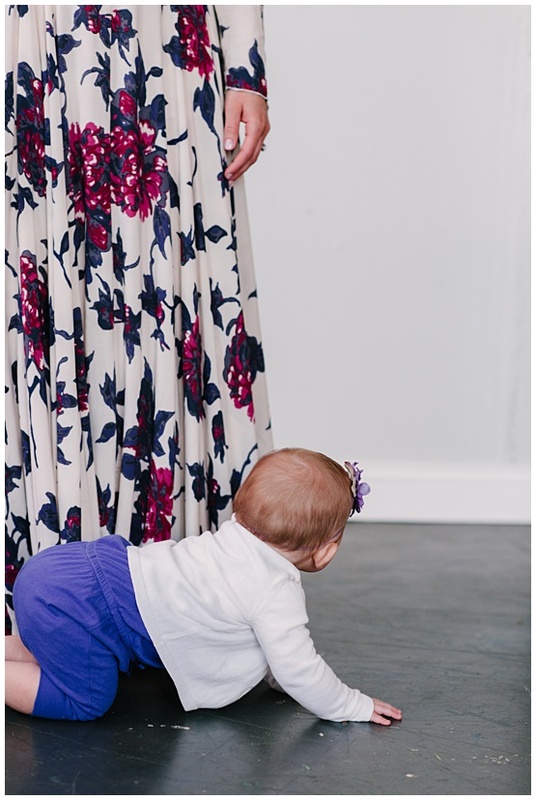 As you scroll down, you’ll see she is just about ready to take those first steps! When we planned the session over coffee, Jill let me know that she was really inspired by classic black & white photography. It was important for her to choose her wardrobe so that the textures would pop. We chose to keep the setting very simple so that the portraits would reflect a minimal style. I really like how the print on her dress translated to black & white. Makeup done by my friend Leslie with Ruby’s Traveling Beauty Show.